It is understood that English Premier league club, Chelsea have spoken to an adviser close to Malaga coach Manuel Pellegrini about taking over in the summer, although Jose Mourinho remains the favourite to return to Stamford Bridge. The Champions league winners met with Pellegrini’s representative in Paris last Friday as they sounded out the 59-year-old’s interest in succeeding interim manager Rafa Benitez. The majority of the Chelsea board are still backing Mourinho’s appointment, but owner Roman Abramovich is understood to have slight doubts, particularly with regard to the Real Madrid coach's exorbitant wage demands. Abramovich also favours waiting until seeing whether Chelsea clinch a place in next year’s Champions League before making a formal offer to the club’s preferred candidate. Pelligrini, who took Malaga to the quarter-finals of this year’s European Cup, has long been admired by Chelsea, who have also considered Everton boss David Moyes. The former Villarreal and Real manager is out of contract in Spain at the end of next season, but his current deal includes a £3.4m buy-out clause, while the lure of Champions League football would be significant. Malaga have been given a one-year ban from UEFA competition owing to financial irregularities, but have appealed and will take the case the Court of Arbitration for Sport in the summer. The Chilean, who speaks good English despite having never managed a team outside a Spanish-speaking country, would also command a significantly lower wage than Mourinho, at around £5million a year. 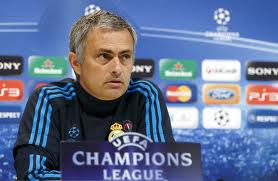 Yet, despite interest from Paris Saint-Germain, Mourinho remains in pole position to return to the club he left in 2007, although Champions League football and more control over transfer policy are two key requirements. 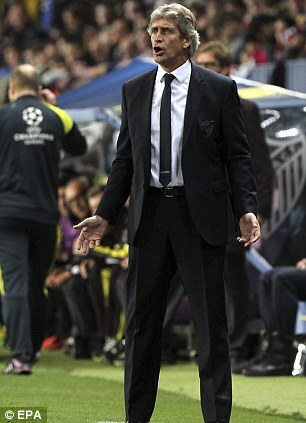 The Real boss this week gave his clearest indication yet that he will leave the nine-time European champions when he reportedly told a group of youth-team coaches that he will not be at the Bernabeu next season.